Hello Reader! Love Thrillers? How about Julia Roberts and Nicole Kidman? Well lets but all three in one film and you got this one. Check the news and trailer below. Secret in Their Eyes is a remade thriller starring 2 powerhouse actresses. From the trailer you can get a good sense of thriller but that could also be the score helping out. Big Drama film with a good amount of stars makes this one look like a film to see. For me I Will check it out on Blu-Ray. Check the trailer below and let us know what you think. 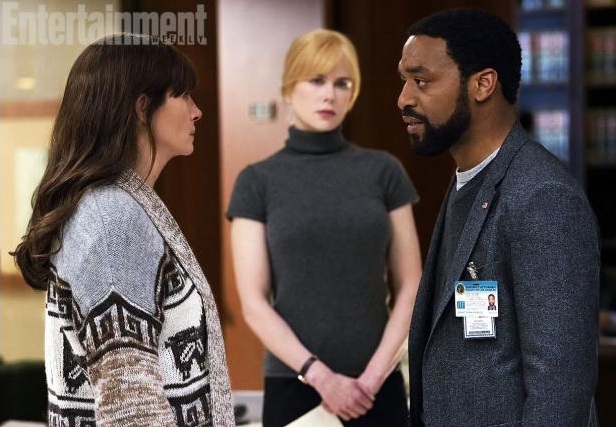 Secret in Their Eyes Stars:Nicole Kidman, Julia Roberts, Dean Norris, Chiwetel Ejiofor and is due to hit Big Screens on October 23, 2015. Plot: A tight-knit team of rising FBI investigators – Ray and Jess, along with their District Attorney supervisor Claire – is suddenly torn apart when they discover that Jess’s teenage daughter has been brutally and inexplicably murdered. Now, thirteen years later, after obsessively searching every day for the elusive killer, Ray finally uncovers a new lead that he’s certain can permanently resolve the case, nail the vicious murderer, and bring long-desired closure to his team. No one is prepared, however, for the shocking, unspeakable secret that will reveal the enduring, destructive effects of personal vengeance on the human soul.